The 2007 financial crisis and its aftermath fundamentally changed how Americans think about risk and business. Another effect of the financial crisis was creating a renewed urgency regarding balancing the federal government’s finances. While many in Congress focus on reducing expenditures, the IRS has continued its efforts to increase tax revenues through better identification of tax fraud and tax avoidance even with a decreased budget. As has been seen in the context of offshore accounts, coming forward voluntarily, making a complete disclosure and taking steps to correct tax problems before the IRS identifies you leads to better outcomes in the majority of situations. If you are concerned that you may have taken overly aggressive positions to minimize taxes that passes through an S Corporation, an experienced lawyer can review your situation and provide peace of mind. If he or she does identify a problem, you can begin taking steps to correct it before being faced with an IRS audit or criminal tax investigation. What are the tax differences between an S Corp and a C Corp? It is not uncommon for many people to want to get done with their taxes as quickly as possible and not devote a moment beyond what they have to. 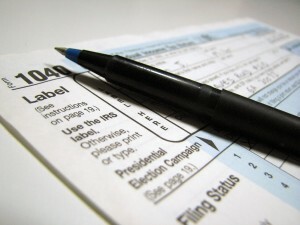 If they complete their own taxes using computer software or an online program, they may rush through the process and fail to read and understand what is being asked. This can lead to failure to make required disclosures, submitting erroneous information to the IRS, and other tax problems. 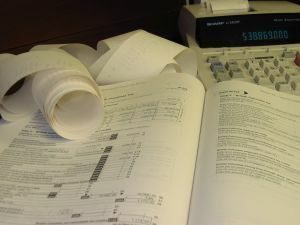 Even if you work with a tax preparer, rushing through the process can still land you in a difficult situation should you fail to disclose all sources of income, submit incomplete tax documents, or fail to provide the tax preparer with all of the information he or she will need to complete your taxes accurately. These failure can result in a tax audit which may reveal further noncompliance with the US Tax Code and additional penalties. At the Brager Tax Law Group, one of our goals is to provide taxpayers with the information they need to avoid preventable mistakes. Because our practice is focused on helping clients through difficult tax problems we have seen some of the common mistakes filers make because they are rushing through the return or otherwise fail to provide complete and accurate information. The 6th Circuit recently taught an expensive lesson to a Michigan couple about carefully following procedure when dealing with tax problems and subsequent loss of their $64,000 refund occurred because of a seeming minor error. Following an IRS tax dispute began, as the IRS’ records stated that the envelope containing the Stockers’ amended 2003 return was postmarked four days late. 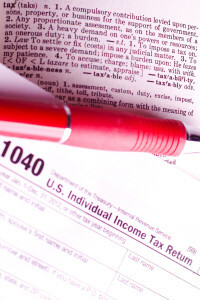 Compounding the Stockers’ tax problems, the IRS failed to retain the postmarked envelope in question. Seeking help in their tax dispute the Stockers brought suit, but the District Court granted the IRS’ motion to dismiss for lack of jurisdiction due to the suit being barred as past the three-year period for filing a claim for a tax refund. On appeal, the 6th Circuit affirmed. The 6th Circuit was unmoved by the Stockers’ attempts to prove the mailing date of their return through means other than those set forth in IRC Section 7502. As the IRS’ records indicated that the returns were postmarked four days late, the Stockers could not prove timely delivery under IRC Sec. 7502(a)(1), which states that the postmark of the returns establishes the date of mailing. Additionally, Mr. Stocker’s failure to obtain the certified mail receipt precluded the use of IRC section 7502(c)(1), which states that the “date of registration shall be deemed the postmark date”. The court rebuffed the Stockers’ attempts to prove timely delivery through circumstantial evidence; rather, the Court stated that its own precedent prevented any other method of proof. Finally, the court held that the District Court had not abused its discretion in refusing to draw the inference that the Stockers had timely filed their returns because of the IRS’ failure to retain the postmarked envelope in violation of internal policy. Despite the seemingly minor nature of the Stockers’ mistakes, the 6th Circuit was highly unsympathetic to their plight. Ultimately, the court reiterated that only certain procedures are available to prove timely filing, and the Stockers’ own mistakes precluded them from receiving relief, despite their innocent nature. While calling it “unfortunate” that the Stockers could not prove the timeliness of their return, the court sent a strong message to taxpayers that it was unwilling to make exceptions for even the most innocent of mistakes. A Kansas woman will still face federal criminal tax charges for failure to pay payroll taxes after a federal court ruled the charges should not be dismissed simply because the taxes have since been paid. As tax litigation attorneys we frequently hear from clients who have been contacted by the IRS criminal investigation division. Their first reaction is, “I will get the taxes paid can you get the IRS to drop the charges?” Unfortunately at that point simply paying the taxes will rarely solve the problem by itself. Payroll taxes cases usually turn criminal because the tax problem has been ignored for far too long. In this case, the employer was charged with seven counts of failing to pay over trust fund taxes (income taxes and FICA), which had been withheld from employees’ pay. The tax violations allegedly occurred between 2003 and 2005. She submitted evidence in 2010 that she had turned over to the Internal Revenue Service all unpaid taxes. She argued the charges should be dismissed since the taxes had been paid. The court ruled that the statute’s wording “failure to pay over” necessarily encompasses late payments by any common sense standard. Additionally, the court ruled the defendant’s interpretation of the law would make it the only area of criminal law in which a crime could be undone at any time until conviction. The defendant was also charged with two counts of failure to pay individual income taxes, which were not addressed in the court decision. 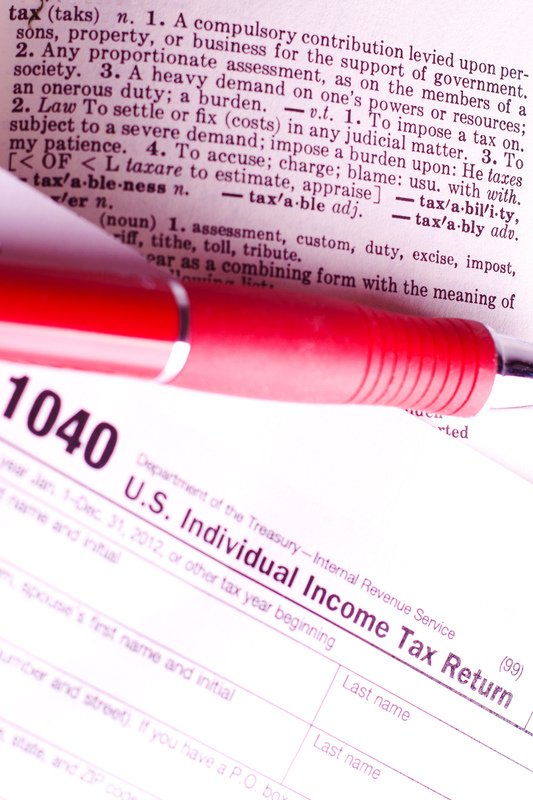 Our tax attorneys continue to see businesses struggle with payroll tax problems. Whether you have 3 employees or 300, or whether you have downsized in response to the struggling economy, payroll tax audits can cause serious legal and financial problems that can threaten the survival of a business. The U.S. Department of Justice reports a recent case out of northern Virginia, in which a business owner was sentenced to 19 months in prison for failing to collect, account for, and pay to the Internal Revenue Service more than $200,000 in employee withholding taxes. He was also ordered to pay $88,826.79 in restitution to the IRS. The defendant was president of a computer software company. According to the government’s allegations, he failed to pay to the government employees’ withholdings for Social Security, Medicare and federal income taxes from December 2004 to June 2008. The case was handled by the Justice Department’s Tax Division, the U.S. Attorney for the Eastern District of Virginia, and the Internal Revenue Service. The worker performed services at the payor’s place of business as well as her own home The payer provided all office supplies including telephone, fax machine etc., although the worker provided her own computer, and accounting software. Frank L. Amodeo has serious criminal tax problems. The U.S. Department of Justice announced that he has been convicted in one of the biggest employment tax fraud cases in Internal Revenue Service (IRS) history. The penalties for these criminal tax charges exceed 22 years and he will be required to pay a judgment of $181 million dollars. Amodeo collected federal withholding taxes through his numerous payroll tax companies, and then knowingly neglected to forward this tax money to the IRS. Consequently, he was charged and convicted with five felonies: willful tax evasion (totaling $181 million); obstructing an agency proceeding (by intentionally defrauding the IRS in their attempt to collect payroll tax); and conspiring to commit wire fraud, to obstruct an agency investigation, and to impede the IRS. Amodeo was forced to surrender more than $1 million cash, three homes, several luxury automobiles, commercial real estate, a Lear Jet, and his corporations in attempt to fulfill his outstanding tax debt. While this may have been one of the larger tax fraud cases on record, people have gone to jail for tax evasion for much smaller cases. While the publication appears to be aimed at workers rather than employers, an employer could be lulled into a false sense of security by relying on the publication since among other things it fails to mention that even though an employer does not actually exercise control, if the employer maintains the legal right to control the worker those workers may well be employees. Nor does the publication mention that Section 530 of the Revenue Act of 1978 also known as the “safe harbor rules” allows employers to treat individuals as independent contractors even if they do not qualify under the common law rules. For more information on that topic see our article Independent Contractor Treatment for Workers is Broadly Available. According to the Government Accountability Office (GAO) the Internal Revenue Service (IRS) hasn’t been doing a very good job collecting payroll taxes. Payroll taxes are amounts that employers withhold from employee wages for federal income taxes, Social Security, and Medicare (so called trust fund taxes) as well as the employer’s matching contributions. The willful failure to pay these payroll taxes is a violation of the criminal tax law, a felony punishable by up to 5 years in jail under Internal Revenue Code (IRC) Section 7602. The GAO study found that over 1.6 million businesses owed over $58 billion dollars in uncollected payroll taxes. The GAO concluded that the IRS didn’t file tax liens quickly enough, and that it didn’t go after the owners of businesses for the trust fund recovery penalty (TFRP) fast enough. The report also suggested that the IRS wasn’t seizing business assets often enough, pointing out that there were only 667 seizures in fiscal 2007, down from over 10,000 in 1997. The report was a rather scathing indictment of the IRS, and various U.S. Senators were quick to jump on the “bash the IRS bandwagon.” Senator Norm Coleman called on the IRS to “ratchet up its efforts” to recover billions in unpaid payroll taxes, and to hold “tax cheats” accountable. The IRS responded that among other efforts it is developing and testing streamlined procedures to file injunctions against business with repeat payroll tax problems, and shut them down quickly. Apparently this would include employers whose principals were previously assessed a trust fund recovery penalty, as well as those who have operated multiple entities with payroll tax problems. Internal Revenue Code § 6672 provides that so-called responsible persons who willfully fail to pay corporate payroll taxes may be held personally responsible for the payment of the trust fund portion of these taxes. Internal Revenue Code § 6672 is sometimes referred to as the trust fund recovery penalty (TFRP). Who is a responsible person? As the court in Horovitz v. United States (WD PA 2008) explained: “responsibility is a matter of status, duty or authority.” The definition of responsible person is not limited to the person with the final say on which bills get paid, but includes others as well. Horovitz illustrates the principle that more than one person can have liability for the trust fund recovery penalty. The CFO was deemed to be a responsible person since he had the full authority to sign checks, could hire and fire employees, signed payroll tax returns, was a corporate officer, and a 20% owner. The CEO was also held liable for the trust fund recovery penalty since he invested several million dollars in the business, owned 80% of the stock, had unlimited hiring and firing ability and check writing authority, and served as the CEO with day to day involvement in the business. 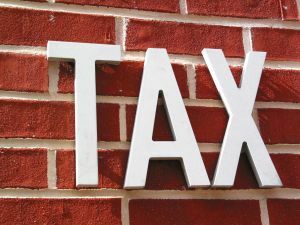 If you have payroll tax problems, and the IRS is threatening to impose the trust fund recovery penalty contact the Los Angeles, California tax litigation lawyers at Brager Tax Law Group, A P.C.